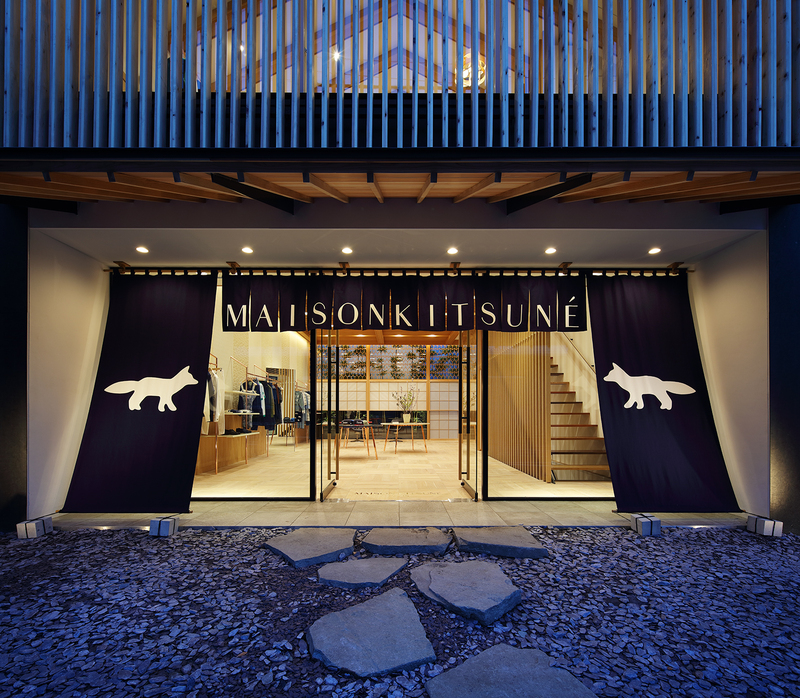 Maison Kitsuné has settled into its third Japanese outpost, a striking boutique spread across 1,500 square feet and two levels in Tokyo's trendy Daikanyama District. 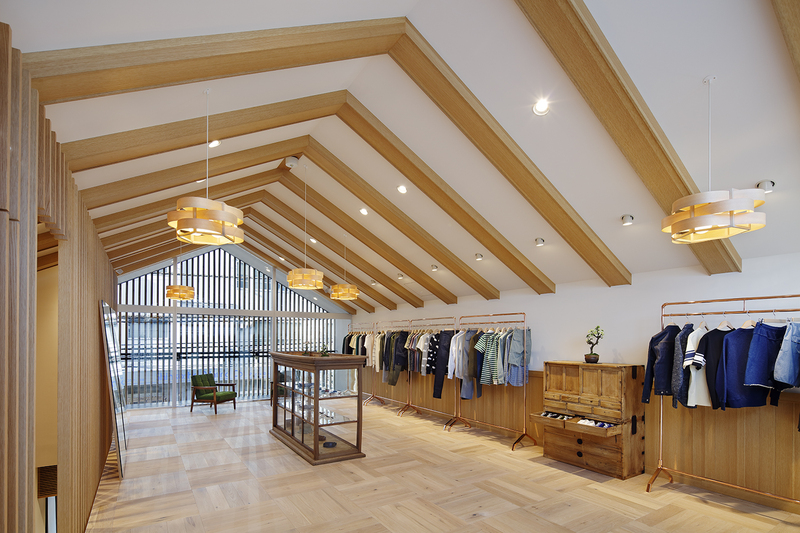 Housing both men's and women's ready-to-wear collections, the wooden post-and-beam construction is a modern take on traditional Japanese design. The architecture draws inspiration from Tokyo's iconic Hotel Okura, considered to be the height of 1960s Japanese modernist design, ensconced in natural wood and dramatically backlit with a concealed bamboo forest. The checkered wooden floor of the entryway pays homage to the hotel's lobby. 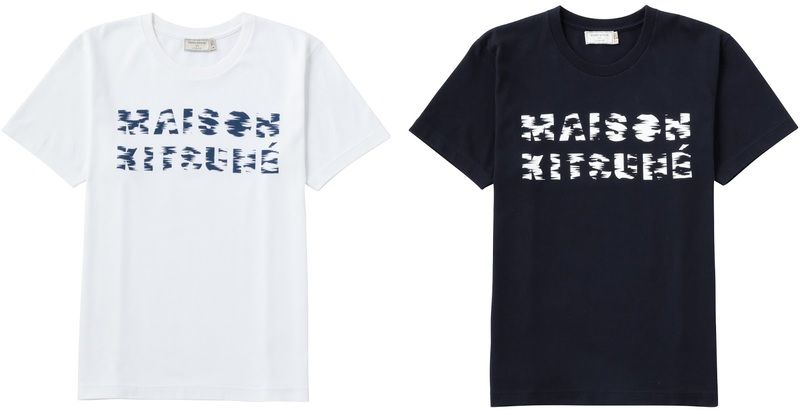 Maison Kitsuné co-founders and creative director Gildas Loaec and Masaya Kuroki teamed up on the project with local artisans to showcase traditional Japanese craftsmanship. The store's floating staircase is made from wood planks sourced from Japan's Kansai region, tables and other fixtures display precious urushi lacquer work, and a custom-made byobu wood screen divides the space upstairs. In celebration of the new boutique, Maison Kitsuné has also introduced its "Daikanyama" capsule collection available exclusively at (where else?) 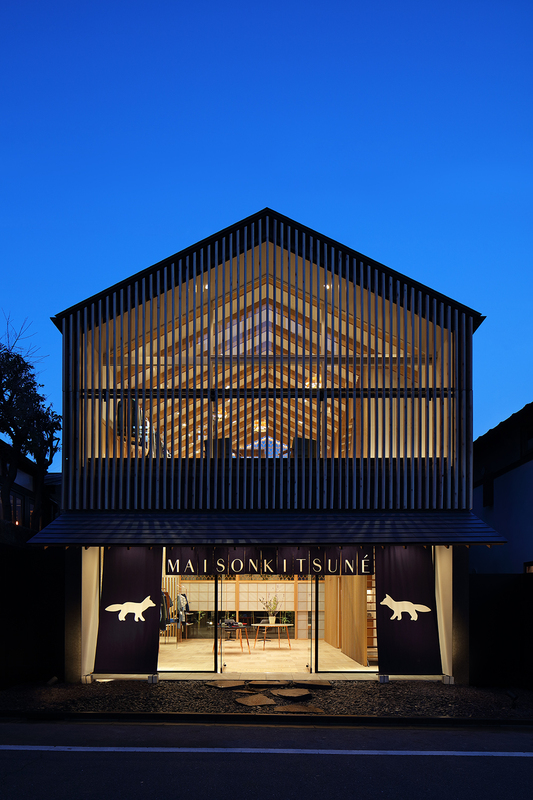 Maison Kitsuné Daikanyama. 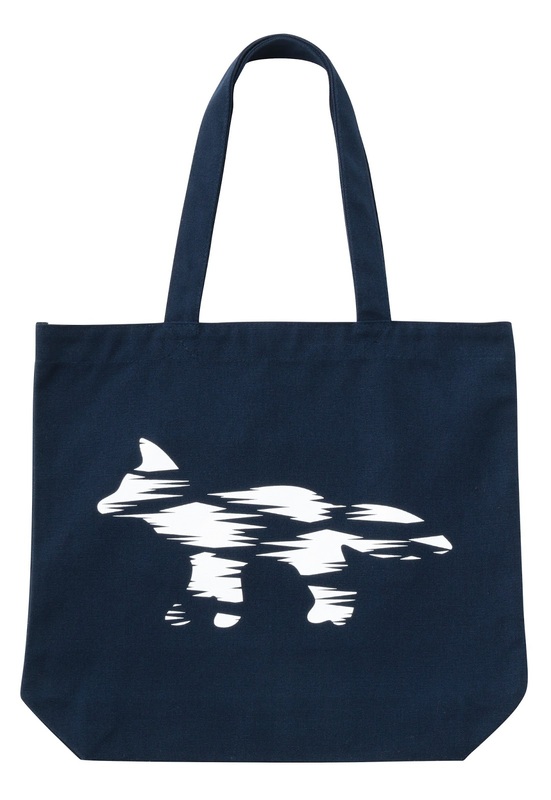 Similarly inspired by retro elements of the Hotel Okura, like hexagonal pendant lamps and geometric latticework, the collection includes a sweatshirt, t-shirt, jacket and tote bag.